Trivandrum-based Aries Estrrado, a global player in educational based software and digital marketing solutions, has inked an agreement with Kozhikode-based Muslim Educational Society (MES), one of the largest educational institutions in India, for digitizing 100 plus institutions under its umbrella. Top officials of two institutions signed a Memorandum of Understanding (MoU) at a function held at MES Fathima Gafoor Memorial Women’s College, Kozhikode. The association of two prominent institutions in technology and education will set a new era in the education sector and will give fresh impetus in digitizing educational institutions across the country. 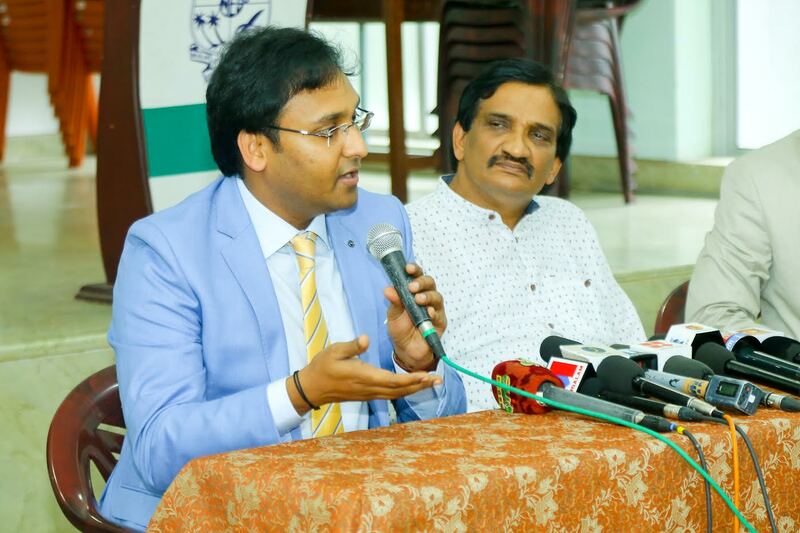 MES President Dr. P. A. Fazal Gafoor exchanged the agreement for digitizing to Aries Estrrado Founder and Director Monish M. S. Aries Group Director Satish Chandran and Aries Group Media Mukesh M Nair were present on the occasion. As per the MoU, Aries Estrrado will hold the helm in digitizing educational institutions under MES using the latest cloud based solution. Once digitization drive is completed, educational institutions under MES will be fully operational through Information and Communication technologies. 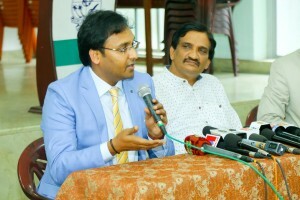 Aries Group Director Satheesh Chandran addressing the media.MES president Dr.Fasal Gafoor is also seen. Elvis ERP, the flagship product of Aries Estrrado, is a tailor-made educational software which assures maximum results with less effort. Elvis ERP, a frontrunner in educational ERP segment, has been playing a crucial role in managing educational institutions across the globe effectively. This News was posted on Thursday, July 6th, 2017 at 1:46 pm and is filed under Education.